There’s a school of basketball thought that says officials should swallow their whistles late in a game. The idea is that refs should “let the players decide”, and not interject themselves in key moments. This, of course, is stupid! If a player commits a foul with two seconds left, it’s still a foul. No one wants an official to make a bad call late that impacts a game, obviously, but saying officials should never make a call late is just as bad. Even Auburn head coach Bruce Pearl acknowledged the play, while also lamenting his team not fouling despite having a foul to give. The irony of Auburn being instructed to foul preemptively, not doing that, then fouling during a shot attempt in an incredibly obvious fashion only for those fouls to go uncalled is certainly something. 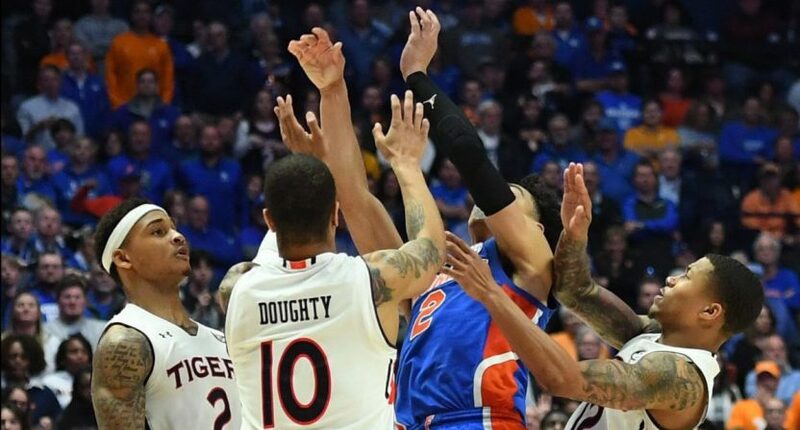 In any case, Auburn moves on to face the winner of Kentucky and Tennessee tomorrow, while Florida now awaits a very likely at-large selection to the NCAA Tournament. At least ESPN’s crew wasn’t afraid to point it out.